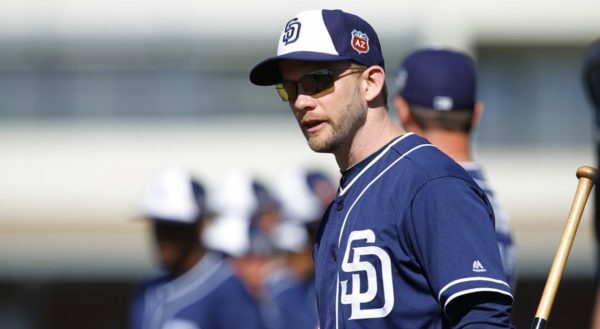 The Padres certainly have a hodgepodge of outfielders fighting for three spots. 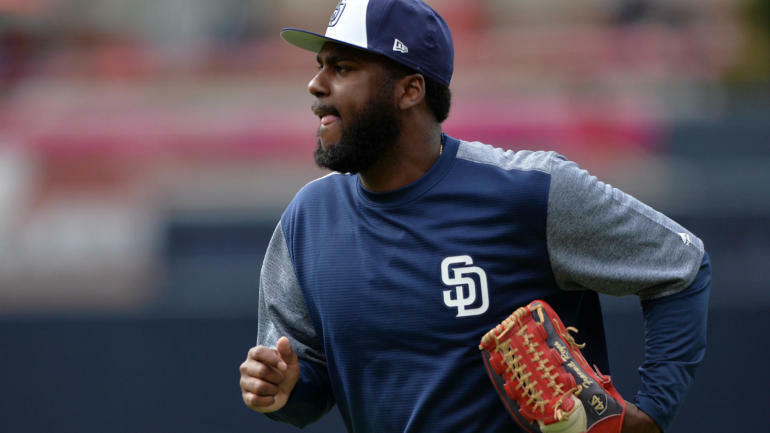 Myers, Hunter Renfroe, and Reyes are all vying for a corner outfield spot and, while Manny Margot seems to be cemented in center field, it’s only a matter of time until Franchy Cordero pushes him for the spot. 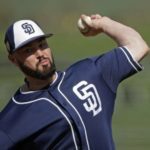 After announcing that he will be going back to the outfield, Myers is the frontrunner for left field, but Renfroe could push him for the spot with Reyes in right field. Reyes played exclusively in right field last year with Renfroe stationed in left, offering a unique power combo. But, with Myers in left, it’s going to be a dogfight for right field. Renfroe truly came into his own in the second half, carrying a 119 wRC+ and swatting 19 home runs. 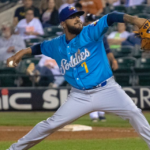 But Reyes came into his own in the second half as well, albeit at a much different style than Renfroe. While the power did come for him with 10 homers in the second half, it was his plate approach that most impressed coaches, taking 18 walks in the second half compared to just six in the first half. 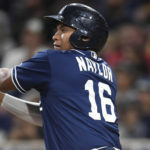 His newfound plate discipline and coachability give him a slight edge over Renfroe, but he has to show that he is fully healthy after having surgery to fix a torn meniscus in his knee this offseason. Add in Travis Jankowski as a bench option, and the Padres have a problem of having too many outfielders for one spot. Preller tried to trade from his surplus, but the general consensus is that he values his outfielders more than how opposing GM’s do. Could Green decide to roll with five outfielders, with Myers, Margot, Reyes, Renfroe, and Cordero or Jankowski making the roster? It is a serious possibility unless one gets moved. 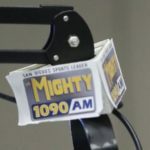 Do the Padres make a big splash? 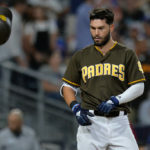 On February 19th of 2018, the Padres inked Eric Hosmer to an 8-year, $144 million deal. It was a slow process, but the long and arduous process of signing Hosmer was finally hammered out just before spring training. And now, the Padres are doing it again. Rumors have tied them to both Manny Machado and Bryce Harper, while they have been linked to the Marlins’ J.T. Realmuto. 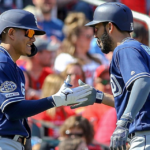 While the interest in Realmuto is confusing considering the Padres carry both Austin Hedges and Francisco Mejia, the interest in Machado and Harper makes much more sense. Machado would instantly slot into the third base position, pushing France and Vosler back to the minors, but giving the Padres some serious thump in their lineup. Even though he played shortstop with the Los Angeles Dodgers, he is a Gold Glove award winner at third base, taking home the plaque in 2013 and 2015. Harper, on the other hand, would force the Padres to make a trade of one of their outfielders, but it is worth going for. Harper had the most walks in the Majors with 130, while landing 10th in OBP with a .393 percentage. 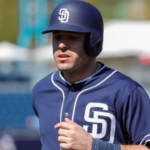 He provides some serious power as well, blasting 34 home runs in 2018 while his 184 career bombs are already 21 over Nate Colbert, the current Padres all-time home run leader. Some people don’t want these two, with complaints about Machado’s hustle or Harper’s attitude whispered by some as reasons to stay away. But there is no question whatsoever that signing a superstar like Harper and/or Machado would automatically make them the face of the franchise. Not even Harper or Machado has to sign. Players like Dallas Keuchel and Moustakas are still available on the free agent market and would provide some form of stability to the team. But, can they adjust to the new team if they sign just before, or during, spring training? It is a question that we will just have to wait and see on. 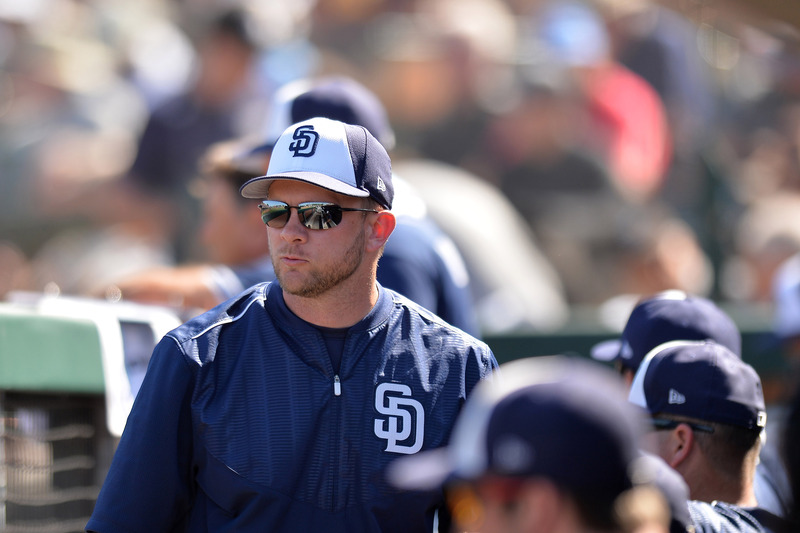 The Padres have many holes to fill as well as many questions to sort out. Will there be a new face in the clubhouse? Will Ty France flourish or flounder? All of these are questions that can only be answered by hitting the field and working to prove it.